Pink, yellow, light blue, red, orange. Portovenere, one of the most beautiful towns of the western Ligurian coast, appears from the boat with its colorful houses reflecting in the sea. I haven’t set foot on the ground yet, and I feel already that many lovely corners are waiting for my eyes to meet and admire them. Only a couple of minutes and my sense of anticipation is fulfilled. Everything is pretty and charming in Portovenere, without being too artificially embellished to please the tourists, like I felt in Alberobello, the famous town in Apulia so perfect to seem unreal. 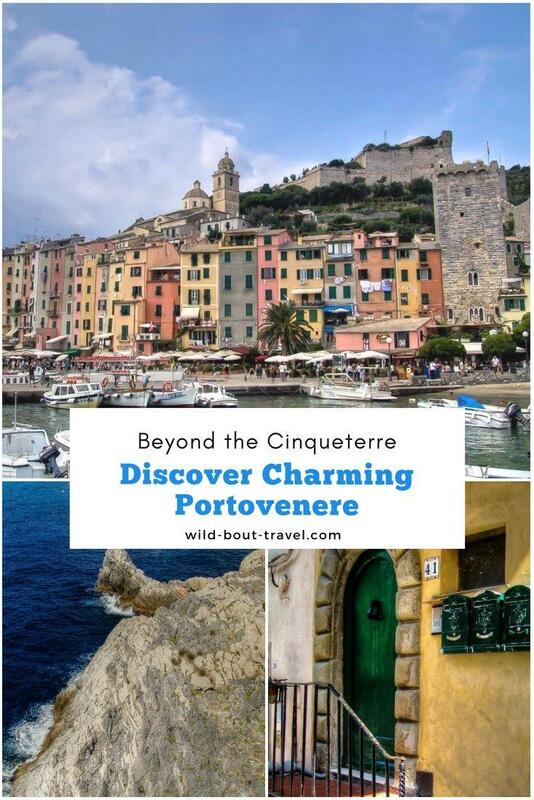 Designated a UNESCO World Heritage Site together with the villages of the Cinque Terre, Portovenere is not surprisingly often packed both with tourists and locals, especially during the weekend. When a town is beautiful and relatively easy to reach, it can hardly be (or stay) undiscovered for long. 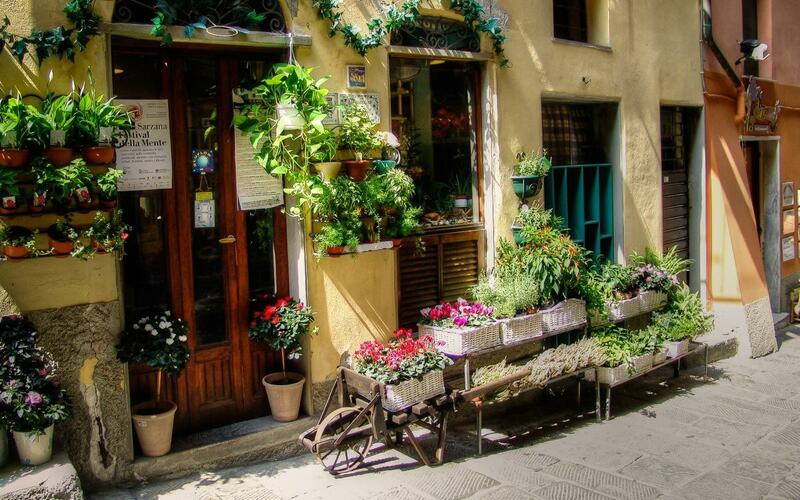 And besides Venice, Florence and Rome (by far the top destinations in Italy), the Cinque Terre and the Amalfi coast are some of the favorite spots by tourists from all over the world. The crowd doesn’t alter my pleasure as I stroll along the alleys bordered by the multi-colored facades, looking at the shops and restaurants tastefully decorated with plants and fanciful boards and signs, the old green letterboxes, the ceramic signs showing the numbers of the houses. 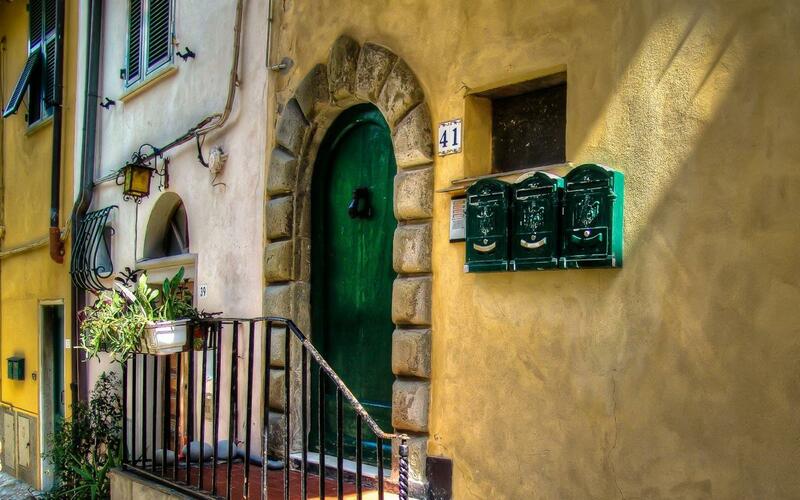 Luckily Portovenere has been well preserved, the original architecture lovingly restored and keeping as much as possible of the original building materials. I have a thing about doors, especially old and worn ones, and during my wanderings, I stumble into a few ones that I find fantastic. 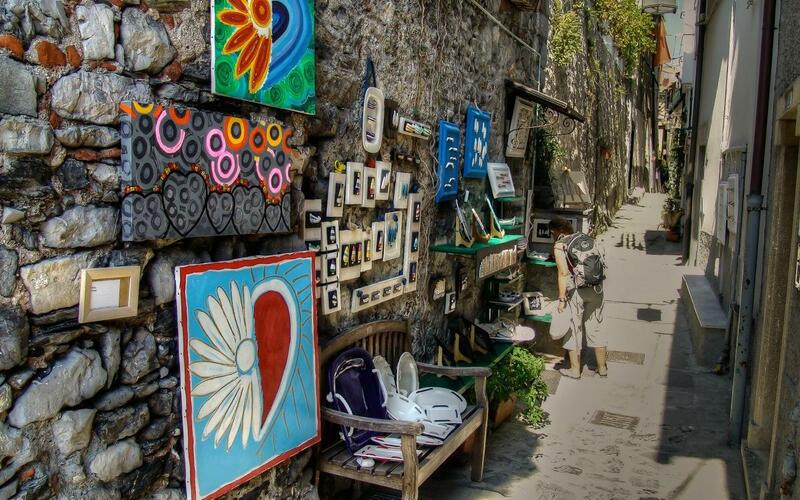 Like the villages of the Cinque Terre, the streets of Portovenere wind up the steep rocky hill to the Doria Castle and the Church of San Lorenzo, offering scenic views over the Gulf of Poets. Through the arcades of the Church of St Peters, the sight of the rugged coastline, with the waves crashing on the rocks, is just beautiful. No wonder this breathtaking stretch of coastline bewitched many writers and poets throughout the centuries: David Herbert Lawrence, Lord Byron, Percy Bysshe Shelley (who tragically drowned here in 1822), George Sand, Henry Miller, Virginia Woolf, to mention only a few. Thus the name “Gulf of Poets,” coined in the early 20th Century. I wish I had a book of Byron’s or Shelley’s poems with me so that I could read a few of them while admiring the rugged coast, the deep blue water, the old houses, and trying to imagine how it all might have looked in their eyes. It’s almost time to leave, and I slowly walk back to catch the boat. I wish I could have stayed longer and I feel lucky to live in a beautiful country like Italy, close enough to go back one day. Soon. 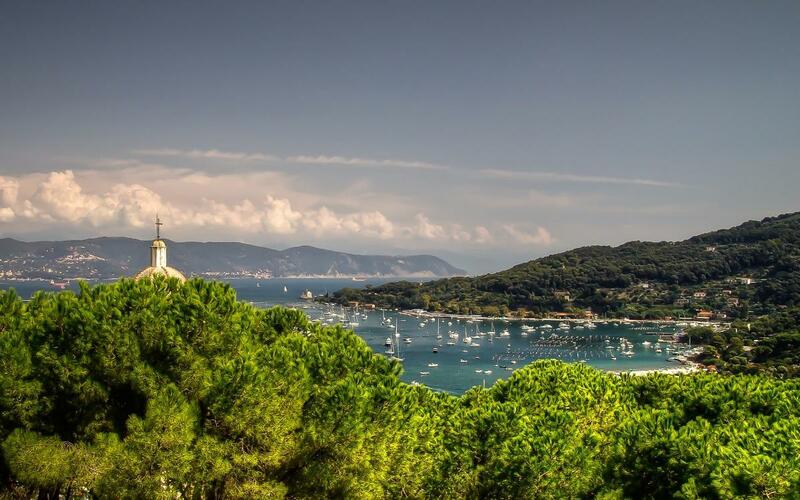 You can reach Portovenere by car, bus, boat or on foot but… not by train. By bus: from La Spezia railway station it’s a 30 minutes ride. Buses run every 10-30 minutes (peak/off-peak) and the ticket costs euro 2,50. 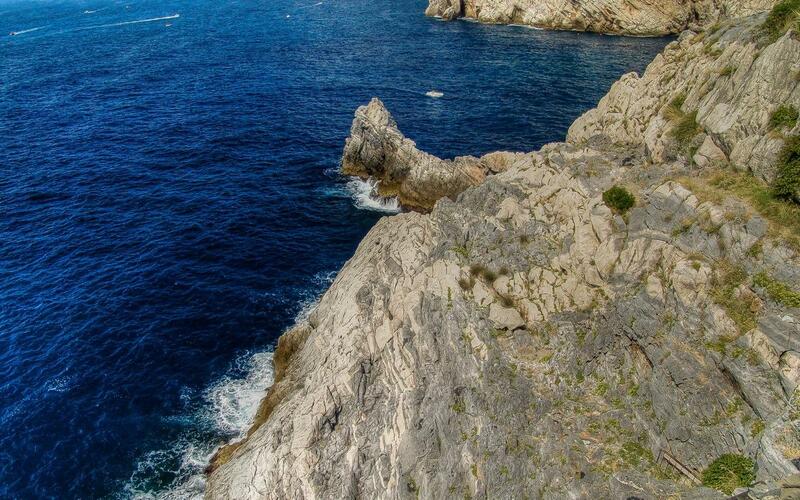 On foot: although I made a few hikes in the Cinque Terre, I never experienced the hiking trail connecting Riomaggiore to Portovenere. It is said to have amazing views (which is not hard to believe) and should take 5 to 6 hours. 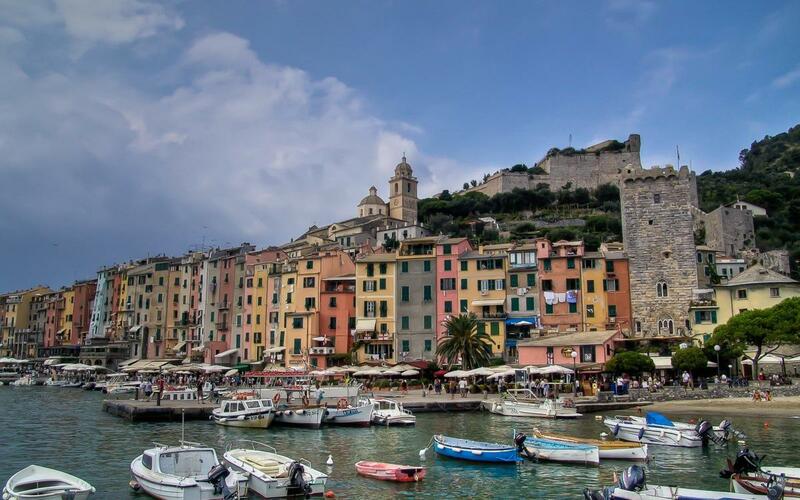 You can go and visit Portovenere at any time of the year, but keep in mind that from late June to early September it will be very busy and likely hot. Spring and autumn are a good period, with pleasant temperatures and it will be less busy. Winter has a special charm, but beware that some hotels and restaurants are seasonal, and might be closed. 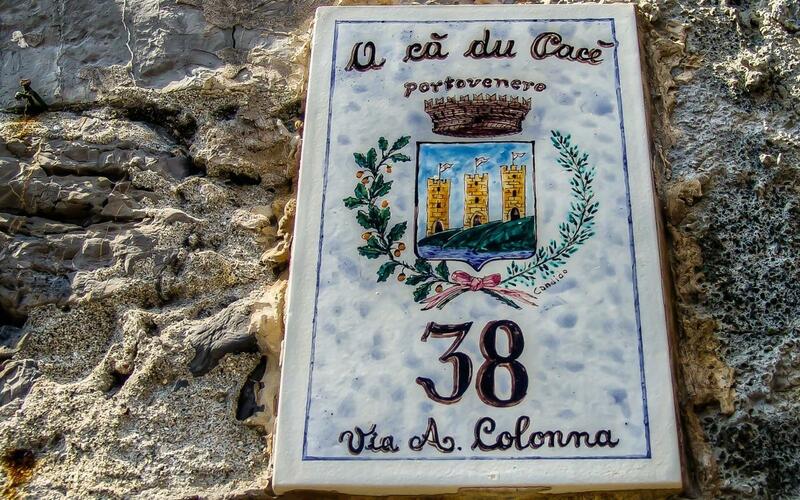 A self-guided 6-day trip walking from village to village in one of the most scenic coastal area in Italy. You can walk at your own pace, stop as many times you like, and enjoy a well-deserved rest in a 4-star hotel. If you like active holidays, this might be the right tour for you. My friend Laurel, a native Canadian passionate about hiking, designed this trip after having personally checked it, step by step (as she does for all the tours she sells). She will provide you with all details and assistance to ensure you’ll have a special experience. A section of Italy we have not been but are thinking about in 2016. I love the colors of these italian towns, Right now Venice is my favorite but I’m willing to be convinced lol. Great article and looking forward to reading more. So colourful, so vibrant, so … bella vista … ! 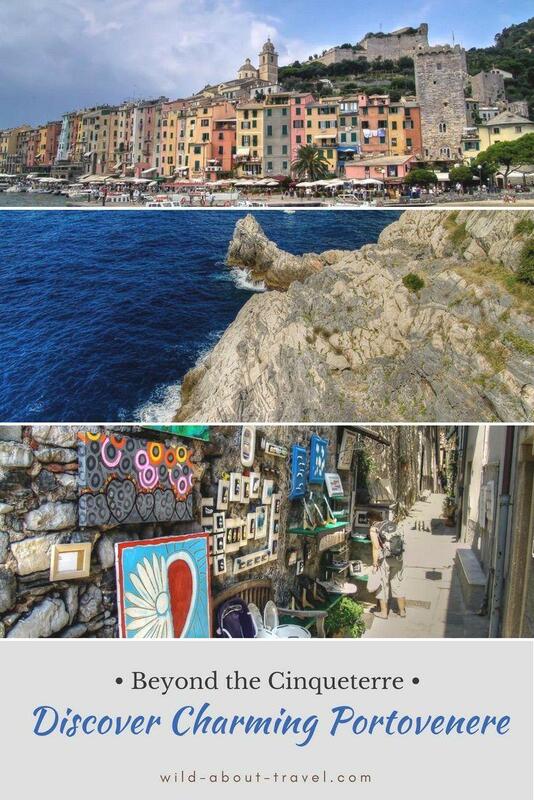 I’m missing Cinque Terre, after having done a mix of train and walking among all of the locations. But I see now that I missed out on Portovenere, even though my rationale at the time was staying in Rapallo for a week-long conference. But thanks to your post, I can insert your images into my memory palace. 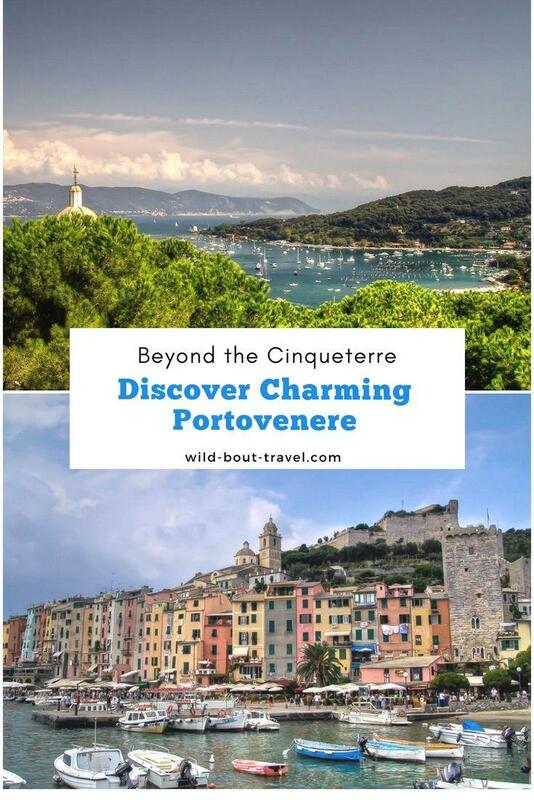 🙂 Thanks for highlighting Portovenere, Simon! You have a real talent for capturing the experience, the immersion of your travels! 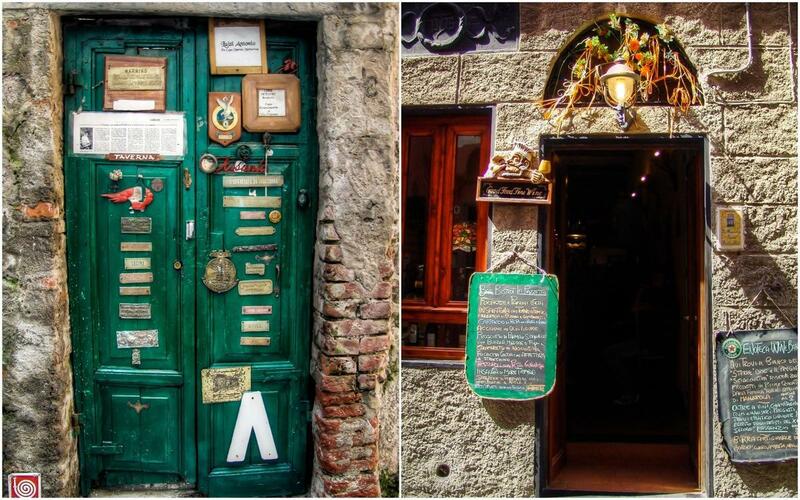 Your photos are stunning and although I have never been to Cinque Terre, I can now imagine what a wonderful journey it would be – all thanks to you!